The Cleveland Cavaliers were only down by 3 entering the 4th quarter but then the Warriors’ bench came to play. Shaun Livingston added a team high 20 points while Leandro Barbosa and Andre Iguodala rounded out a solid 45 point points from these bench players. The Cavs held the Splash brothers (Steph Curry and Klay Thompson) to only 20 points but with the depth and the perseverance of this team, it didn’t matter. 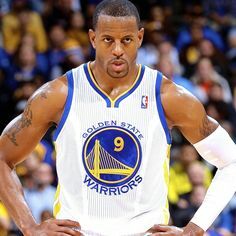 In addition to the great play from the bench, sports fans are talking about Andre Iguodala getting “accidentally” swatted in the groin and Warriors’ coach Steve Kerr taking his frustrations out in the 3rd quarter by smashing and destroying a clipboard. Asked about the clipboard incident, Kerr said, “Destruction tends to ease some of the anger. So I try to take it out on a clipboard instead of a player. It’s better that way.” Game 2 will take place on Sunday, 8:00 pm ET. Warriors 104, Cavaliers 89.